Welcome to Alcoholics Anonymous District 43 of Central Pennsylvania. Anyone is welcome to attend the listed Open Meetings. Closed Meetings are only for those persons with a personal desire to stop drinking. Here is a printable version of our Meeting List. 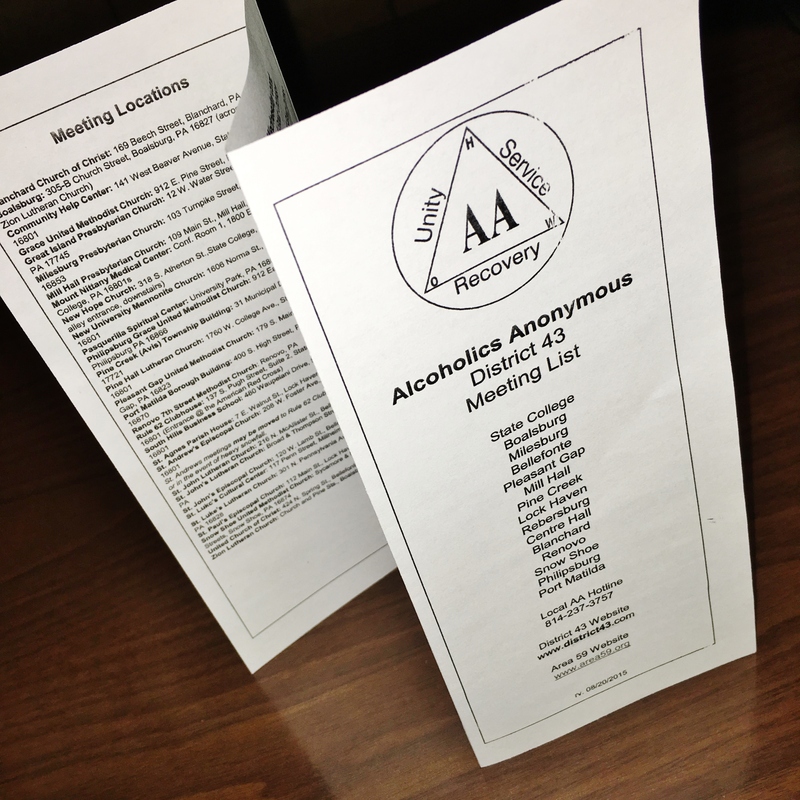 The printed meeting list is the tri-fold layout which will fit in your group’s literature rack.